Indeed, professionals, legal entities or any individual can refer to the Chapiter 11 clause when it comes to seeking bankruptcy protection. That fact is evidenced by the case of Erick Lindgren who has currently added less than $ 50,000 assets to the Chapter 11. Recall that this is the second time in three years that poker pro Lindgren claimed for bankruptcy protection. The first filing is dated back in 2012. He submitted his second claim last Tuesday to the US Bankruptcy Court in Vegas, hoping to erase his debts. Actually, Amaya Gaming, the parent company of PokerStars and Full Tilt, sued the professional poker player for $ 2.5 million as he allegedly failed to return erroneously-deposited money into his Full Tilt poker room account. As the man denied it, the company decided to file a lawsuit. In 2012, Erick Lindgren owed the Internal Revenue Service $ 3.8 million of profits through the year 2003 to 2010. Unsuccessful, his 2012 bankruptcy and the Chapter 11claims did not work as he thought it would. 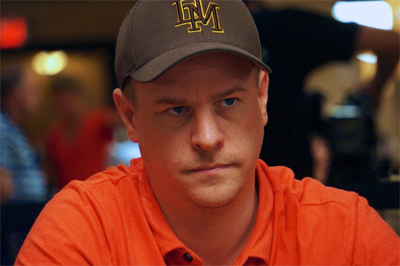 In March, PokerStars took the matter to court asking Erick Lindgren to return back $ 2.5 million. The poker player also owed a gigantic sum to the IRS. Considering penalties and money for damages, his tax liability now amounts to more than $ 5 million. The sum that creditors would claim via the lawsuit is estimated at $ 8 million. Lindgren is currently undergoing treatment for problem gambling. This page has been viewed 296 times.